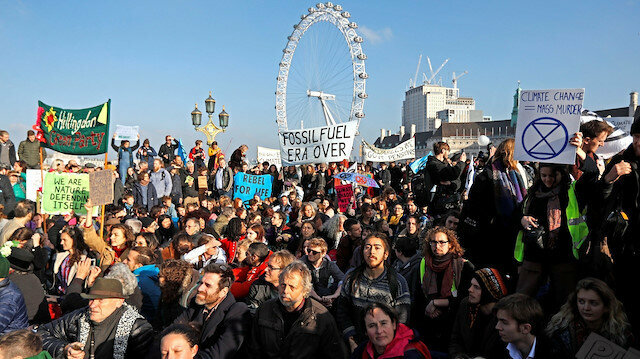 Thousands of climate change activists have blocked main roads in London on Monday. Environmental protesters hold banners and chant slogans during a demonstration on Waterloo Bridge in London on April 15, 2019. 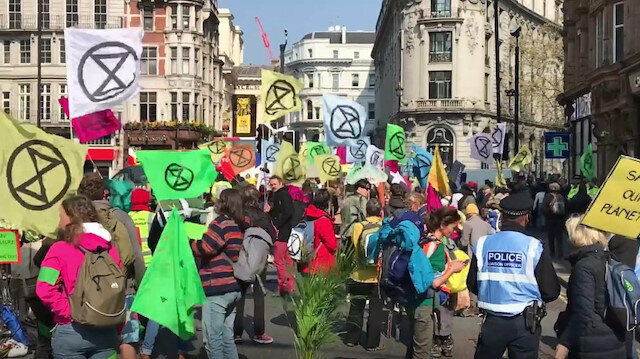 Environmental protesters from the Extinction Rebellion campaign group started a programme of demonstrations designed to block five of London's busiest and iconic locations to draw attention to what they see as the 'Ecological and Climate Emergency' of climate change.